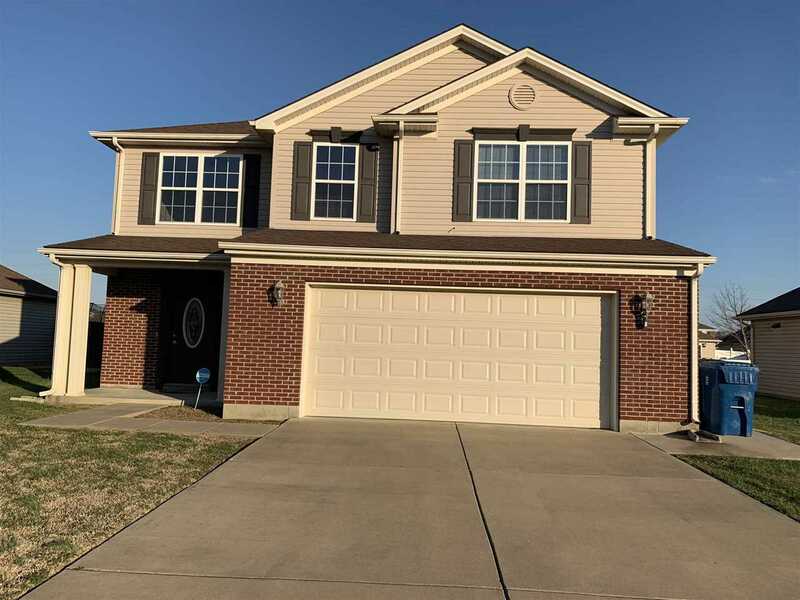 Check out this beautiful home in the desirable Fall Creek Subdivision with a ton of recent upgrades!This two-story, 2176 sq ft. home built in 2010 has 3 bedrooms and 2.5 baths with a large attached two car gargae. The open living room has a feature wall and modern fireplace. The kitchen is upgraded with granite countertops with beveled edges, stainless steel appliances, and a large island with pendant lighting. Washer and dryer hookups in a large utility room with ample storage space and wall mounted drying rack.Second floor has a good size bonus room with 3 bedrooms. Large master bedroom (16x19'). En-suite has a dual marble top vanity, espresso cabinet with soft-close drawers, large shower and jetted tub. Large walk in closet with upgraded organization shelf. Fenced in backyard with enlarged patio area. Additional upgraded features: upgraded light switches throughout, under cabinet lighting and crown molding on kitchen cabinets. Upgraded chandeliers in living room, dining room, foyer and two bedrooms. Smart home features include alarm system, video and audio enabled front door bell as well as garage door monitor. Both full baths include rectangular under-mount sinks, automatic humidity sensors and exhaust fans, tiled floors and upgraded stainless steel faucets. Master bath features integrated towel warmer. Shower and tub feature marble-like tile with glass and stone tile inlay.SELLERS ARE OFFERING A SUPREME HOME WARRANTY AND A $500 FLOORING ALLOWANCE. Directions:Turn Right onto Bell Road, Right onto Lincoln Ave., Left onto Epworth Road. Right onto Tecumseh Drive., Tecumseh Dr turns slightly right and becomes Penrose Drive. SchoolsClick map icons below to view information for schools near 4860 Penrose Drive Newburgh, IN 47630.